The ancient wisdom of the Tao Te Ching has illuminated the path for pilgrims from every spiritual tradition for over two millennia. It has been translated into hundreds of languages including dozens of English versions. Its guiding principles are difficult to capture in words, but resonate deeply in the human heart and mind due to its author Lao-tzu’s masterful use of poetic imagery. Life is not linear. It does not unfold in a logical manner nor does it ever submit to our desires for control. The "Tao," or "Way of Life," is full of paradox and surprise, never behaving as our clever planning has predicted. A life of conscious compassionate awareness is discovered by allowing this twisting, turning, and beautiful "way" to flow in us and through us without resistance. The Tao Te Ching is a venerable guide on how to "let Life live itself" in and through each of us. For this retreat Taoist author/teacher William Martin is your companion as you walk along the path of conscious compassionate awareness, of living the direct experience of your spiritual life rather than becoming lost in thoughts and beliefs "about" that life. You will receive a month's worth of daily emails with a passage from the Tao Te Ching, a commentary by William Martin highlighting key themes as well as personal applications of this wisdom, and a suggestion for a simple practice you can use to follow this "way" in your everyday life. You could not have a better guide to help us discover how the Tao Te Ching is both a path and a practice. 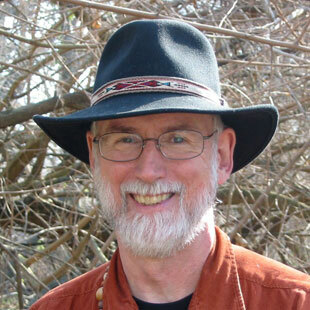 William Martin has been exploring the wisdom of this tradition for 40 years and over the past 12 years has written popular books that express the message of the Tao for specific audiences, which he will be drawing upon for the emails in this e-course: The Parent’s Tao Te Ching, The Couple’s Tao Te Ching, The Sage’s Tao Te Ching, The Tao of Forgiveness, and The Caregiver’s Tao Te Ching (written with his spouse, Nancy). His A Path and a Practice: Using Lao-tzu's Tao Te Ching as a Guide to an Awakened Spiritual Life was chosen by Spirituality & Practice as one of the 50 Best Spiritual Books of 2005, and he is profiled at S&P as a Living Spiritual Teacher. Sign up today for this very special experience with one of the world's most influential and beautiful sacred texts.